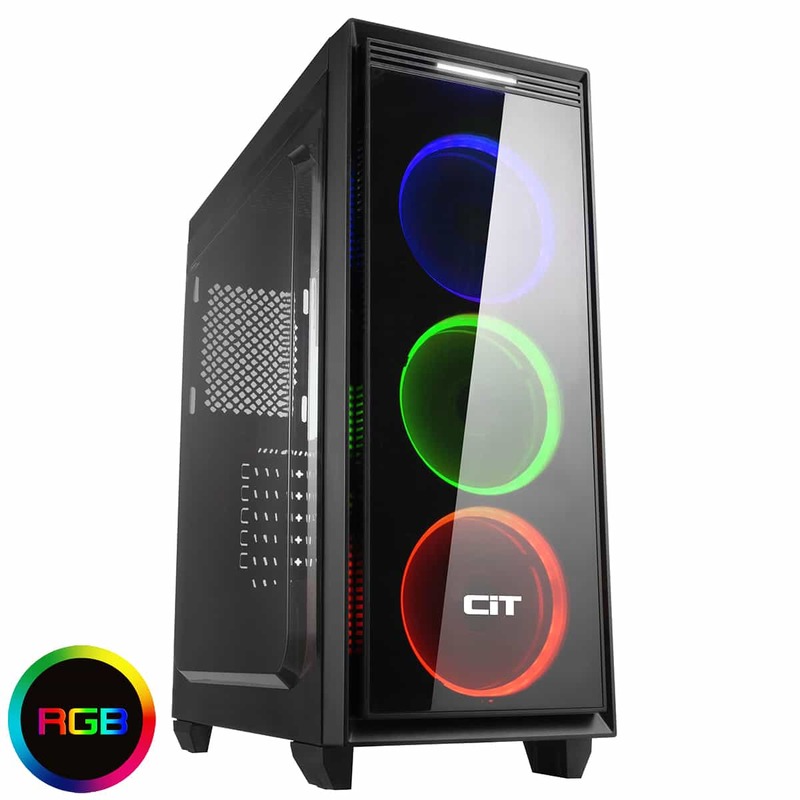 CiT have created the fantastic Halo Midi RGB Gaming Case with a large acrylic side panel. With a bold and modern design, the Halo appeals to end users looking to make a statement and stand out from the crowd, with the three RGB fans installed on the front and room for up to 8 fans, as well as an RGB hub that can connect to 10 devices (8 fans and 2 LED strips). An IR remote controller is included with the RGB hub which allows the user even more control. You can change the speed and mode using the hub and through the remote controller you can change the speed of the mode and light your fans 16 different colours and 4 different lighting modes (Flash, Strobe, Fade and Smooth). Overall this truly is a case that offers the end user performance, unrivalled customisation and value throughout. Please note the main image shown is for visual purposes only. The fans included are RGB (solid RGB colours only) and all sync to the same colour. RGB Fans – Three Single-Ring Halo RGB fans are included on the front of this great case to add style and personality. Acrylic Side Panel – The Halo comes with an Acrylic left side panel to allow the user to show off their internal components.. Ultimate Cooling Experience – The Halo supports up to 8 fans in total to allow the user to push the PC to the limit. Removable Dust Filter – A dust filter on the top of the Halo helps to prevent dust from getting into your build and helps improve the performance of your chassis.